All rules set by park enable us to offer a quality environment to our customers and to make your stay at Blackadder more enjoyable. Visitors are asked to observe the following rules carefully (owners must ensure that their visitors are made fully aware of them and are asked to display them in a prominent position for this purpose). These rules supersede all others and failure to comply may be viewed as a breach of the licence agreement. 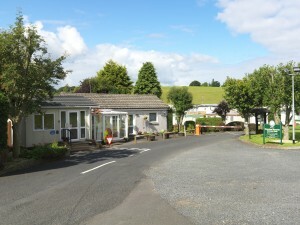 All Visitors visiting owners at Blackadder Holiday Park are required to call in at reception on arrival in the interest of security on the Park. Fibrous materials such as sanitary products, disposable nappies, baby wipes etc. must not be put down the toilet or into the drains. Please don’t exceed the speed limit of 10mph whilst on the park, the speed limit is set in the interest of safety for all users. Vehicle parking is provided and please avoided driving on grass where ever possible. Private Hose pipes may NOT be used and fire hoses must not be used for any purpose other than in case of emergency. Please consult us if you plan to bring more than two small dogs onto the park, With specific information on the breed, We do reserve the right to refuse access. All pets shall be the sole responsibility of the owner who will ensure that these animals are exercised off the park or in designated areas. Dogs must be kept on a short lead at all times including after dark and owners must clean up after their pets. No firearms, air pistols, rifles, fireworks or explosive substance may be brought onto the Park, except such fuel (LPG) as is reasonable for normal caravan requirements. LPG bottles should be placed on a concrete slab and securely padlocked. A spare key for the caravan and LPG padlock must be deposited with the park reception. LPG Bottles should be stored in open air spaces. Refuse areas are based around the park for disposal of rubbish by all caravan users. Please make sure all rubbish is placed inside the bins and the lids are closed securely. No rubbish is to be placed outside of the bins as vermin such as Foxes, cats and birds can easily access this and cause mess. Do not put bulky house hold items in the bins, these can be disposed of by contacting the park manager at the reception, items such as mattresses, cookers etc. can be disposed of for a fee of £15. Fridges and Freezers must be removed and disposed of by owners. There will always be refuse bins on the park with room in them and we ask for your full co-operation in this matter. If a bin near you is full please report to reception and we will try to replace it. The use of external/stand alone clothes lines are forbidden, drying racks attached to caravans are permitted. Kite flying and ball games are not permitted on the park except for around the designated play areas. Children must be supervised at all times for their own safety, especially when playing near the River Blackadder that runs through the park. Out of consideration for others noise must be kept to a minimum after 10.30 pm, please bear in mind that noise travels easily between caravans so please ensure sound from Radios, TV’s etc. are not excessive at anytime. Owners are requested to keep their caravans clean and in good condition. If repainting please consult us so as to ensure that all external colours are in keeping with the environment. The area around the caravan is the responsibility of the caravan owner and must be kept neat and tidy allowing no obstruction to the park grass cutting operation. Nothing must be stored under a caravan veranda unless boxed in. The gravel around and under the caravan must be kept weed free by the use of a propriety weed killer – instructions must be followed carefully when doing so. Any external work to the pitch must be discussed with park manager before materials, goods or services are ordered and before any work commences. A sketch of intended work would be helpful for initial discussion. Further information regarding the construction/addition of storage boxes, verandas etc may be obtained from reception. Please place all orders at reception for any work carried out or supplies ordered, only approved companies with public liability insurance will be allowed onto the park. Notification must be given to reception beforehand and in the interest of security, delivery drivers and workmen are required to call at reception prior to entering the park.